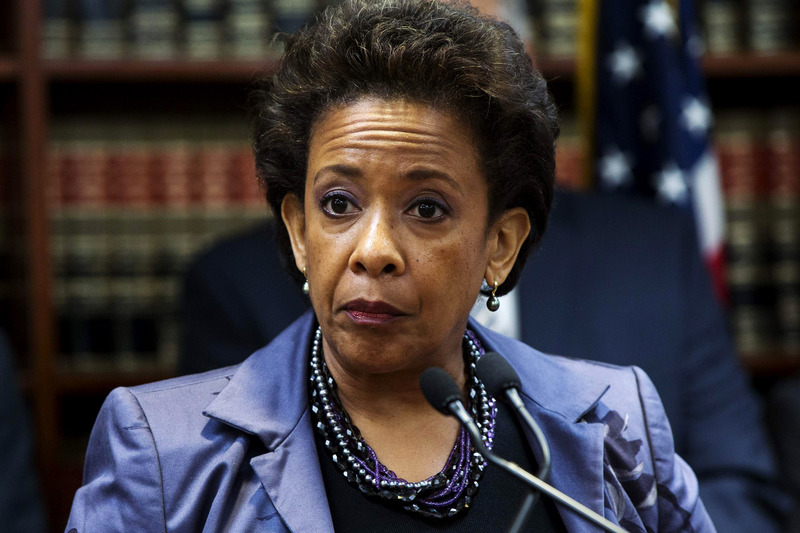 When confirmation hearings begin today for Loretta Lynch to replace Eric Holder as U.S. Attorney General, conservatives will seek her views on President Obama’s executive order on immigration and liberals will seek her views on the prison at Guantanamo. We hope at least one member of the Senate Judiciary Committee will seek her views on the parallel, covert judicial system her office runs. 1. The convictions of Sater and two co-conspirators were kept secret until revealed in a March 2000 press release on your letterhead announcing the indictment of another 19 co-conspirators. The need to keep convictions secret in a pre-indictment period of cooperation is clear. But how do you justify the subsequent 12 years of keeping his case secret when his conviction and cooperation had already been made public by your office? 2. Over the last four years, your office engaged in extensive litigation to keep Sater’s case secret, leaving no trace of it in court records. In 2014, appellate attorneys in your office filed a brief in the Second Circuit declaring that Sater had been sentenced in “open court.” Was your staff being truthful in its brief, or was he actually sentenced in secret? 3. If Sater was sentenced in an open court, the law required your office to find his victims and ensure they know their rights to restitution and to be heard at sentencing. Your office failed to provide any of these rights to his victims, while he continues to live the high life off their money. Why? 4. If you were concerned for the safety of your witness, why didn’t you simply require him to pay restitution and enter Witness Protection? Why does risk entitle the defendant to have his case hidden forever and evade restitution instead of having to enter Witness Protection and still pay? 5. Why did you decline to provide the list of his victims to the probation office, which would have at least triggered the notification to them of the sentencing? 6. Why was there no statement of reasons made at his sentencing why there was no restitution, which is required by law? 7. The title of the Mandatory Victims Restitution Act of 1996 is self-explanatory. The National Organization for Victim Assistance asserts that the government believes it can avoid its legal obligation to comply with this and other crime victims’ rights statutes by simply hiding these cases. Can you refute that? Or will you as Attorney General allow secretly convicted criminals to keep their money in the other 92 offices? 8. One of Sater’s co-conspirators, Klotsman, served four years of a six-year sentence for this racketeering in federal prison without any public record of his racketeering conviction or sentencing. Can you see why some might see this as a 21st Century Star Chamber? And why was he ordered to pay restitution but not Sater? 9. Why did you allow Sater to infiltrate a real estate venture, Bayrock Group, and use it to launder millions of dollars, and as admitted at his sentencing borrow millions from banks, without disclosing his conviction, creating a fresh group of victims who were duped by his ostensible “clean record”? Is this a white-collar version of the FBI scandal in which Whitey Bulger was allowed to murder and steal because he was a cooperator? 10. Did the prosecutors under your command, during the prosecution of Sater’s 19 co-conspirators, disclose, as exculpatory or impeachment material, the apparent deal that Sater would be allowed to keep the money he’d pled guilty to having stolen in exchange for “good” information?